In case there is a difference, this is the FD that came with a wiFli kit. The issue is matching surfaces between the FD and the clamp on attachment for my bike. The derailleur band that goes on the bike frame has a curved surface which I consider standard. The actual derailleur has a flat surface where it will contact the band. I'm reasonably sure that if I torque it to spec and use the SRAM shims as instructed, the derailleur should be secure. Just wondering if anyone had other thoughts or suggestions. PS - the front derailleur band is a carbon piece made by Parlee that came with my Parlee frame. 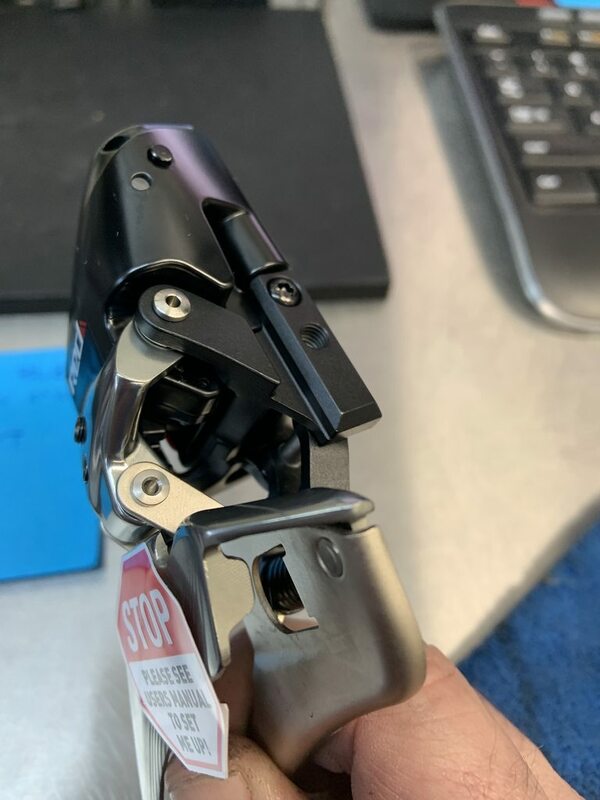 I've never used that combination, but I would recommend using the SRAM clamp. All the SRAM FD clamps I can see online have the same curved surface as my clamp, so it's the same issue. Ok, I'm not able to visualize what you're talking about. Can you post a photo? It is a pic while laying on its side of course. Huh...I don't remember it being that shape. I don't have one handy at home but when I get in to the shop tomorrow I'll grab one and take a look. You'd think it would be rounded like every other derailleur on the planet. It looks rounded in the illustrations on page 11 and 19 too. I'd swear it's rounded, I'll confirm tomorrow. 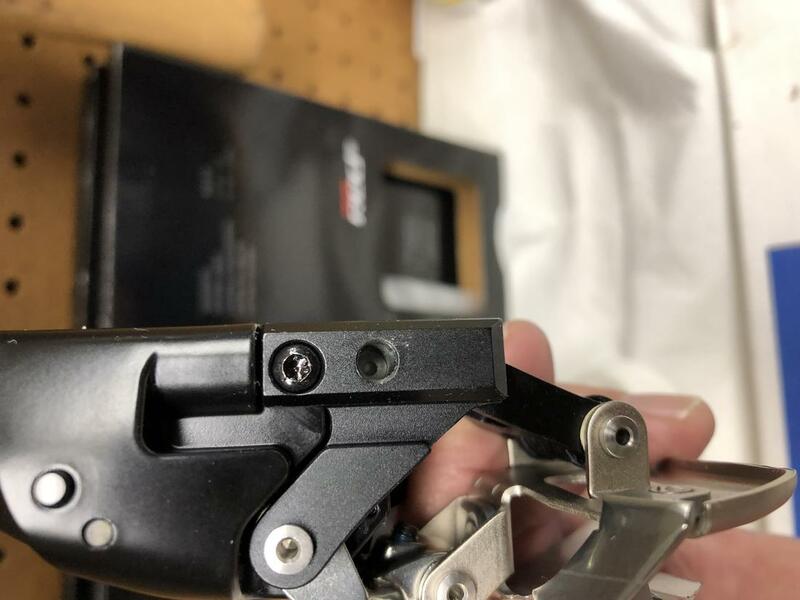 My parts source found some rounded units in inventory but a call to their SRAM rep revealed that SRAM has changed their design to the flat version. Arguably it will work as well or better than the rounded version especially if the rounded part on the FD didn’t match perfectly with the rounded part on the bike.